DK Educational Consultants offers a variety of educational services to International and United States-based parents and educators for their students. DK Associates has been providing services to clients, families and schools since 1992. While the focus has been on boarding school and college placement, DK offers a truly unique service to families and schools when faced with the thorny problem of student suspensions and dismissals for rules violations, inappropriate behavior or substance use. DK Associates pioneered a home-based suspension program that has helped families and schools cope with what to do when a crisis occurs, requiring the student to be removed from school on short notice. Home-based is the key ingredient in the DK Program. 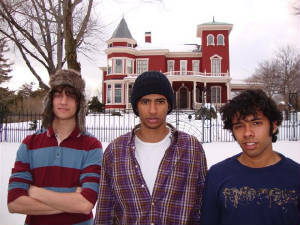 All students stay in the large homes of the Duston’s in Cherryfield, Maine and participate in the normal activities of small town families as a house guest with structure. The suspension may be for 3-5 days or even up to 10 days depending on the suspension event. In the case of dismissals, the student will stay with the Dustons for as long as it may take to find another placement. DK Associates also provide respite homestay for students over vacations or any other period when the student cannot be at home or the school residence is not available. While DK provides a unique residential service, DK also provides an evaluation service to families and schools regarding the student. Sometimes a fresh set of experienced eyes and ears can provide a different and perhaps clearer view of the issues facing the student. We provide substance and behavioral evaluations when appropriate and specific feedback to parents and schools on helping strategies for the student. Some of our international students visiting famous author Stephen King's house in Bangor, ME. 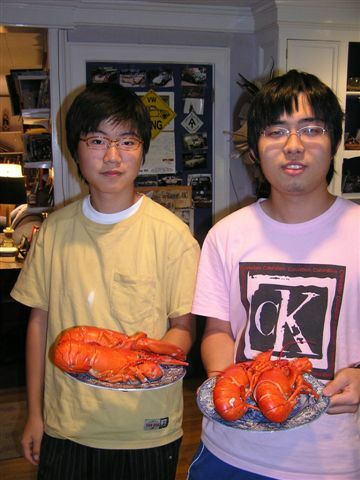 Two of our students getting ready to eat some delicious Maine lobster!